“Stem cells are smart and will only stay in one place to repair damaged cells and tissues until called away for more dire situations requiring attention. Like little ADHD multi-tasking mechanics/repairmen, they run all over the body where the body has decided (through a very complex set of devices) they are most needed. This results in stem cells dedicated to mending bones, suddenly running off to fix the heart, pancreas, etc before finishing the job on the broken bone. While this is a great holistic and triage approach (paying attention and dedicating resources to that which needs it most), it makes it difficult to access how powerful and successful stem cells are at resolving a single issue/condition in the body. A lot can be said for repairing many areas in the entire body simultaneously, in fact, this is one of stem cells’ greatest strengths…but it doesn’t sit well with the concept of “completing one job before moving on to another.” Scientists have devised a new way to make stem cells stay put and finish the job they were directed to do. No more stem cell ADHD. In the case of serious and terminal diseases, this is an excellent innovation. If you can fix that which is going to fail first, you can then move on to what’s next. It also makes commercialization of stem cells easier. Nobody picks up their car with the damaged exhaust from the mechanic and he says: ‘I got the exhaust half done but realized your distributor, struts and alternator were shot so I fixed them instead.’ But your body is not a car. “One trouble with stem cells is that they don’t stay put. When doctors put cardiovascular progenitor cells in the heart to heal damage from a heart attack, the cells are whisked away in the bloodstream in a matter of hours. Researchers, and a couple of renegade doctors in Colorado, have shown that stem cells do help bones heal. While bones, even the intricately shaped jawbone, have been grown in the lab, researchers have been somewhat stymied in their efforts at the seemingly more banal task of using stem cells and grafts to help heal major fractures, bones removed in surgery and other hard-to-fix injuries inside the body. That’s where materials science comes in. 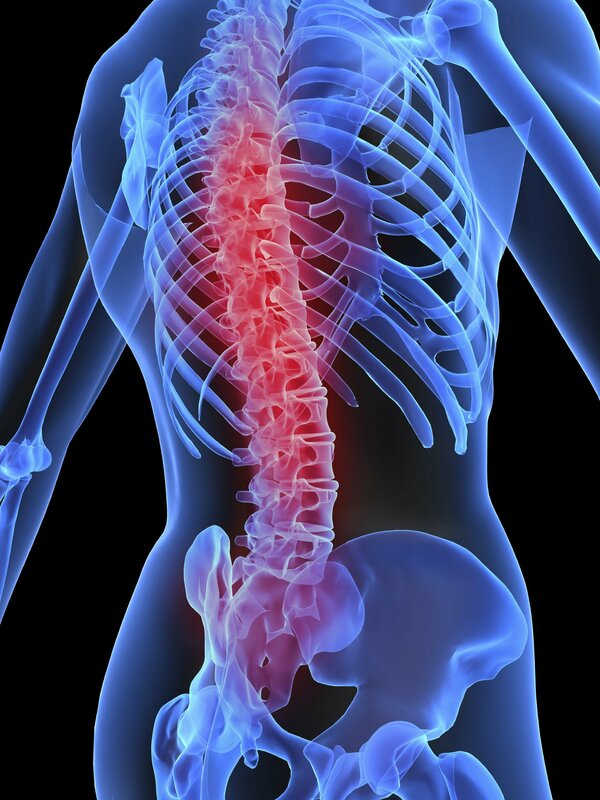 Spinal cord injury is an important cause of disability in young adults, and stem cells have been proposed as a possible treatment. Here we systematically assess the evidence in the scientific literature for the effectiveness of stem-cell–based therapies in animal models of spinal cord injury. The comparison between multiple allogeneic stem cell treatments revealed improved both motor and sensory function in SCI animal models. Differentiation prior to implantation and IV route of cell administration yielded better outcomes. via Cell Therapy & Regenerative Medicine | Scoop.it. BRUSSELS — Belgian medical researchers have succeeded in repairing bones using stem cells from fatty tissue, with a new technique they believe could become a benchmark for treating a range of bone disorders. The team at the Saint Luc university clinic hospital in Brussels have treated 11 patients, eight of them children, with fractures or bone defects that their bodies could not repair, and a spin-off is seeking investors to commercialize the discovery. Doctors have for years harvested stem cells from bone marrow at the top of the pelvis and injected them back into the body to repair bone. The ground-breaking technique of Saint Luc’s centre for tissue and cellular therapy is to remove a sugar cube sized piece of fatty tissue from the patient, a less invasive process than pushing a needle into the pelvis and with a stem cell concentration they say is some 500 times higher. The stem cells are then isolated and used to grow bone in the laboratory. Unlike some technologies, they are also not attached to a solid and separate ‘scaffold’. “Normally you transplant only cells and you cross your fingers that it functions,” the centre’s coordinator Denis Dufrane told Reuters television. His work has been published in Biomaterials journal and was presented at an annual meeting of the International Federation for Adipose Therapeutics and Science (IFATS) in New York in November. Belgian Professor Denis Defrane, coordinator of the centre of tissue and cellular therapy of Brussels’ Saint Luc Hospital, shows how a hole in the tibia of a patient suffering from a disease was treated on an x-ray, in Belgium January 14, 2014. The new material in a lab dish resembles more plasticine than bone, but can be molded to fill a fracture, rather like a dentist’s filling in a tooth, hardening in the body. Some of those treated have included people recovering from tumors that had to be removed from bones. One 13-year-old boy, with a fracture and disorder that rendered him unable to repair bone, could resume sports within 14 months of treatment. “Our hope is to propose this technology directly in emergency rooms to reconstitute bones when you have a trauma or something like that,” Dufrane said. A spin-off founded last year called Novadip Biosciences will seek to commercialize the treatment, initially to allow spinal fusion among elderly people with degenerated discs. It may also seek to create a bank of bone tissue from donors rather than the patients themselves. IFATS president Marco Helder, based at Amsterdam’s VU university medical centre, said the novelty was the lack of solid scaffold. Belgian scientists repair bones with new stem cell technique – CBSNews. Critical size bone defect reconstruction by an autologous 3D osteogenic-like tissue derived from differentiated adipose MSCs. Researchers have developed the material with a honeycomb scaffold structure that allows blood to flow through it, enabling stem cells from the patient’s bone marrow to attach to the material and grow new bone. Over time, the plastic slowly degrades as the implant is replaced by newly grown bone. Scientists developed the material by blending three types of plastics. They used a pioneering technique to blend and test hundreds of combinations of plastics, to identify a blend that was robust, lightweight, and able to support bone stem cells. Successful results have been shown in the lab and in animal testing with the focus now moving towards human clinical evaluation. The study, published in the journal Advanced Functional Materials. And with these 2 more men now HIV free, perhaps the dream of an HIV Free Generation is one step closer to reality! Researchers at Brigham and Women’s Hospital in Boston have discovered that, following bone marrow transplants, two men no longer have detectable HIV in their blood cells. The finding is significant because it suggests that by giving these patients transplants while they were on anti-retroviral therapy, they may have been cured of the AIDS-causing virus. Two More Patients HIV-Free After Bone Marrow Transplants – ABC News.